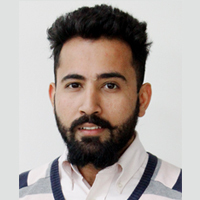 With a major in Marketing from Sikkim Manipal University and a bachelor’s degree in Mass Communication, Chetan Sawhney has an in-depth knowledge of the media industry as a whole. Extensively specializing in PR and Event Management domains, he possess more than 8 years of rich experience into handling clients in Financial, Luxury, lifestyle, IT, Political & Technology sectors. At Nangia Advisors LLP, he is responsible for managing the PR brand and marketing communications . He primarily looks into Internal & External communications and overall marketing for the company, which includes exploring branding opportunities at events, initiating partnership plans with associations & media organisations, working closely with external partners (web partner, social media partner, designer, publisher and printing houses), development and production of promotional/marketing collaterals, planning and execution of special projects and events, and creating digital/online presence including website management, e-mail sourcing and social networking through respective channels. Internal communications is also a part of his role which includes newsletter management, conducting webinars, internal branding, drafting and analyzing reports & publications and working with the senior management to plan and execute firm’s internal communications strategy.